Join the Ascend community. Love teaching again. You will be surrounded by other intellectually curious and fiercely dedicated colleagues, committed to creating a warm, nurturing school culture. Inspired and supported, you’ll drive your students to achieve exceptional outcomes. Experience Ascend's warm, supportive student culture which empowers student voice, builds agency, and fosters independence. Our Responsive Classroom approach perfectly complements our ambitious liberal arts curriculum. In this sixth installment of our video series, meet Mr. Uddin and his fifth-grade students at Canarsie Ascend Middle School on May 23, 2018. At Ascend, we invest in your growth—training, supporting, and collaborating with you every step of the way. Join our warm and diverse community. Ascend educators are relentless in their commitment to provide all of our students with the knowledge, confidence, and character to succeed in college, career, and life. We ignite our students’ curiosity and inspire them to think, imagine, debate, and create. Ascend is a growing network of public charter schools offering a new model for public education. 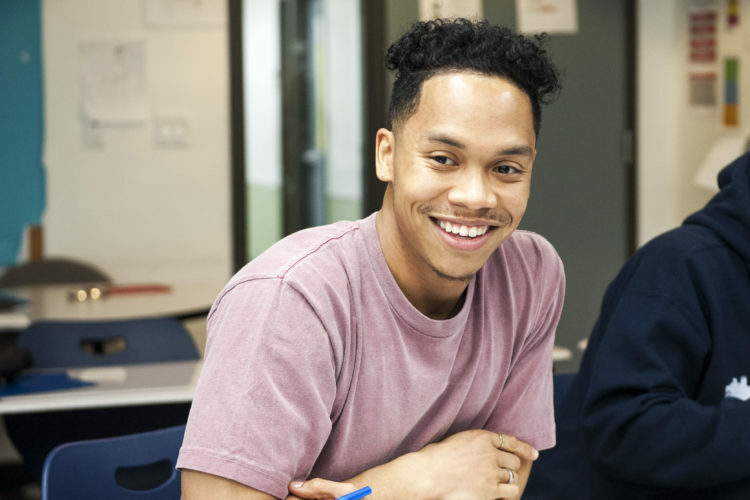 We are committed to providing students from educationally underserved communities with the highest quality college-preparatory instruction, and we offer you the opportunity to help shape our ambitious program. We actively encourage Ascend school staff to be part of Ascend’s development and growth, and we solicit your feedback and ideas at town halls and other forums. You will have a voice and play a role in defining the future of Ascend. Our drive to high achievement relies on extraordinary teaching and collaboration. 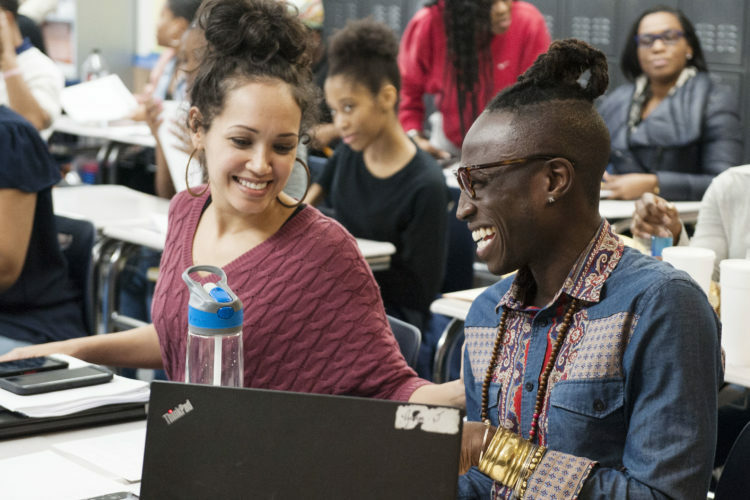 Ascend and its schools are committed to building a diverse and inclusive community, both through our hiring practices and our focus on creating a culture and environment where diverse perspectives, ideas, and identities are valued and integrated into our way of working and educating students. Ascend staff represent a wide diversity of racial, socio-economic, gender, religious, and national identities—opening a window to the entire Ascend community on the richness of humanity. We welcome all applicants who share our mission and vision to join us in our deeply consequential work. What does a typical school day look like at Ascend? Teachers have a nine-hour work day (7:20 am to 4:20 pm), with two preparation periods each day and time for lunch. The typical Ascend school day runs from 8:00 am to 4:00 pm. A lower school student day might include: breakfast, morning meeting, English language arts (guided reading, read aloud, Literature Circle, phonics, grammar, and shared text), science, math, specials (such as art, music, dance, physical education, and foreign language, depending on the school), and lunch/recess. A typical middle school student day might include: breakfast, Advisory, humanities, science, math, specials (such as art, dance, health or physical education, and foreign language, depending on the school) and lunch/recess. Read more about Ascend’s lower school program, middle school program, and high school program. What are the qualities of an ideal teacher candidate? We’re excited about teachers who get fired up about learning; who want to spend their time discussing, preparing, and immersing themselves in the content they’re about to teach; who truly listen to what students are saying; who create a space for students to think their own way through to answers; and who praise their insights and curiosities along the way. We seek educators who view challenges as opportunities and work relentlessly to reach ambitious goals. We value hunger for feedback and the desire to engage in an ongoing process of professional reflection and growth. 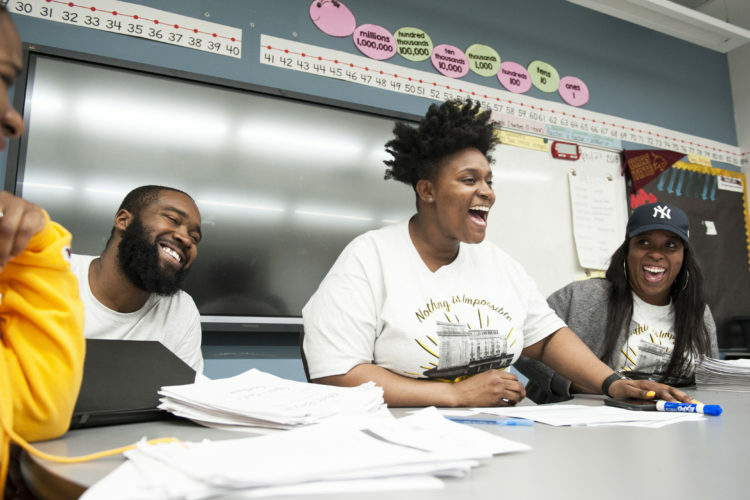 We look for educators who are passionate and committed to serving youth in underserved communities and to our ultimate goal of closing the opportunity and achievement gap. View open positions at Ascend. What are the requirements to teach at an Ascend school? Do I need to be certified to apply for a teaching position? Ascend values a diverse faculty. We invite experienced teachers, recent graduates, and career changers to apply. Experienced teachers should have a demonstrated history of raising student achievement. Ascend requires teachers to hold a bachelor’s degree, preferably in an academic area, such as the natural or social sciences, or the humanities. A master’s degree and New York State certification is preferred. Applicants who do not yet hold New York State teaching certification must be willing to take the necessary certification steps, which may include applying for reciprocity or enrolling in a teacher preparation program. Ascend reimburses $2,000 per school year toward the cost of tuition upon successful completion of the Relay Graduate School of Education two-year program. How does Ascend’s compensation compare to other public schools? What is included in Ascend’s benefits package? We also provide each faculty member with a laptop, ample supplies, and classroom materials. Additionally, employees receive a $500-$2,000 referral bonus for recommending talented candidates who are hired by Ascend. 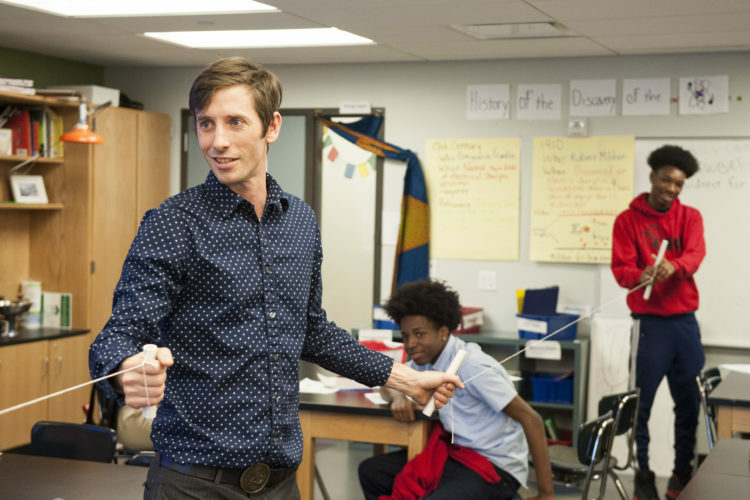 How does Ascend support the professional growth of its teachers? Ascend provides its teachers multiple opportunities to engage in deep content preparation, support each other in daily instruction, collaborate on the design of highly targeted data-driven actions, and share best practices. Ascend promotes a growth mindset in which everyone engages, inspires, pushes ones another to attain their personal and professional goals. Read about Ascend’s Teacher Planning and Development framework and other professional development programs. Teacher Certification. 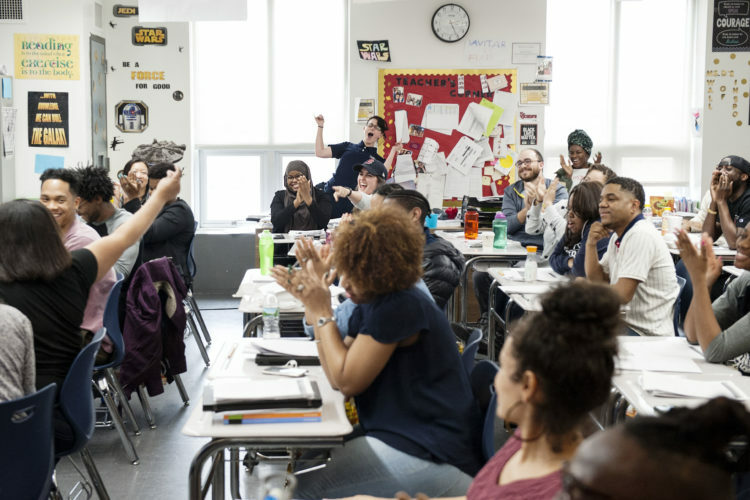 Ascend partners with the Relay Graduate School of Education to provide its teachers graduate level courses for New York State teaching certification. At the successful conclusion of each of the program’s two years, provided that you are employed by Ascend, we reimburse you in August for up to $2,000 of the program’s annual tuition. In addition, Ascend supports your participation in the Relay program by paying an annual partner fee. Special Education Certification. Ascend covers the entire tuition cost of full-time teachers who enroll in an Ascend-approved program and receive a certificate extension. 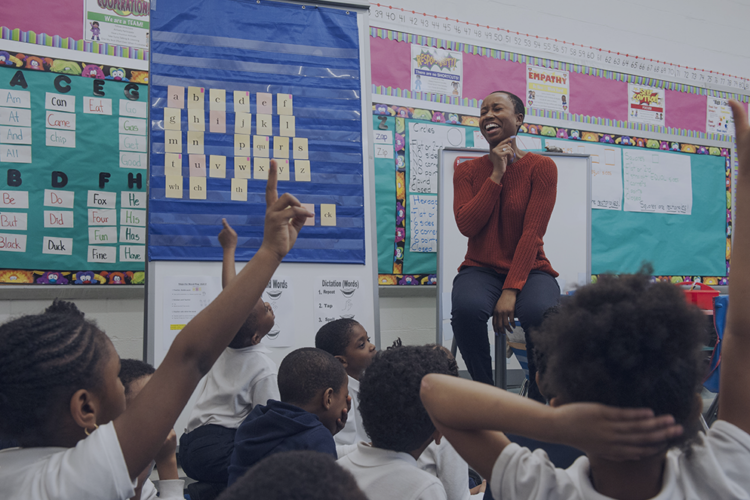 Ascend invests in each teacher’s professional goals, with opportunities to assume any of our teacher and school leadership roles, including mentor teacher, grade-team leader, dean, resident director, and school director. What are key elements of the Ascend liberal arts Common Core curriculum? Aligned with the Common Core State Standards, the Ascend liberal arts curriculum provides our students a rich, well-rounded course of study from kindergarten through high school that develops children’s full academic, social, artistic, and ethical potentials. 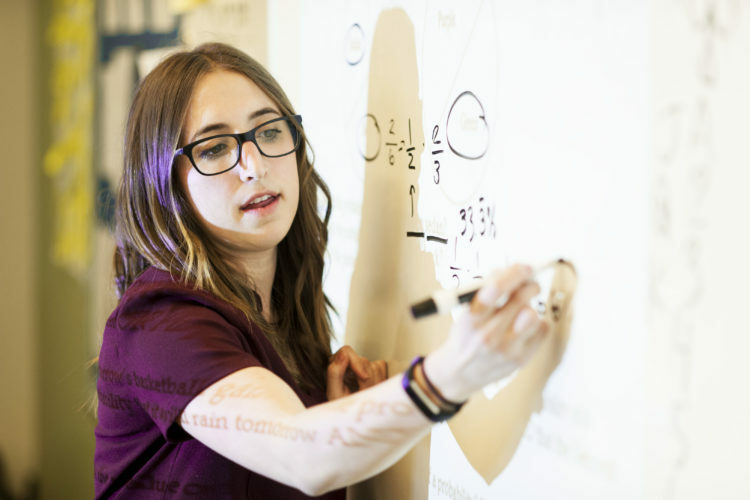 Our program is designed to develop students’ curiosities and capabilities and prepare them for success in college and beyond. Read more about the Ascend liberal arts approach, as well as our design for the lower schools, middle schools, and high school. What is the lesson planning process at Ascend? Ascend provides curricular materials, including unit guides, pacing charts, student response packets, background knowledge readings, and assessments, so that teachers can concentrate on designing and delivering exceptional lesson plans. Although the process may vary slightly from school to school, teachers are usually asked to draft lesson plans specific to one subject and grade level and then meet with their grade team to collaboratively review, practice, and revise their grades’ upcoming lessons. Teachers receive training and support on all curricula from the Ascend curriculum development team. Additionally, every teacher and instructional leader has access to aggregated assessment data for every grade and school, to allow informed, data-aligned instruction and the spread of effective practices. How do Ascend schools partner with families? Learn more about Ascend schools. How do Ascend schools track student progress? How are teachers supported with data-driven instruction? Academic data are at the heart of the Ascend school design. 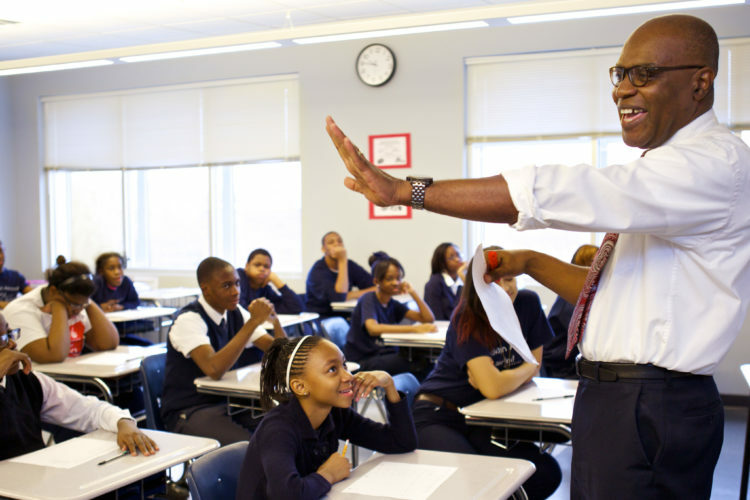 Students take scheduled assessments developed by Ascend to provide teachers with immediate, objective feedback on students’ mastery of the preceding unit, and accordingly, guide re-teaching. Every school year, Ascend administers one full-length mock state exam in math and one in ELA to track student progress toward academic proficiency and build students’ stamina in preparation for the rigors of the actual state exam. In Teacher Planning and Development sessions, teachers collaborate with their schools’ deans of instruction and Ascend’s director of data and analytics to study assessment results, identify areas of growth, and plan next steps. Sophisticated software tools developed by Ascend provides teachers and instructional leaders with comprehensive, real-time reports on the performance and progress of each student. Moreover, grade books are automatically developed from benchmark exams in the core academic subjects. Learn more about our Teacher Planning and Development framework. Why don’t Ascend schools co-locate with other schools? Ascend teachers work in newly renovated, beautifully designed buildings that communicate our aspirations for teaching and learning. Newly renovated, with abundant light and sophisticated colors, Ascend schools embody our educational vision of joyful curiosity and high expectations.. Since Ascend schools do not co-locate with district schools, our students, teachers, and leaders can take ownership of their school and allow the Ascend culture to flourish in every aspect of school life. School staff never need negotiate with another school over shared space or worry about competing school cultures. Can I apply to a specific school and/or grade in the network? Our Talent Recruitment team will work with you to match your experience, qualifications, and preferences with the Ascend school and grade that’s right for you and our students. Where are Ascend schools located? Ascend schools are located in the Brooklyn, New York neighborhoods of Brownsville, Bushwick, Canarsie, East Flatbush, East Brooklyn, Cypress Hills, and Prospect Lefferts Gardens. All Ascend teachers work in newly renovated buildings that communicate our aspirations for teaching and learning through carefully chosen design detail. Ascend schools are never co-located with Department of Education schools, so there is no conflict over building resources. What materials and supplies are available for Ascend school teachers? Ascend teachers instruct students in beautiful light-filled environments stocked with educational resources, including libraries with hundreds of highly engaging titles and classrooms with interactive smart boards. Ascend also provides personalized laptops, in-school wireless internet access, and networked printers, as well as access to copy machines, poster makers, art and office supplies, and more. Every school is staffed with an operations team that manage all non-instructional aspects of the school day. School directors and leadership teams can focus on instruction and teacher development. Know someone who would be a great addition to the Ascend team? Put us in touch, or just link your friend to the positions that are right for them.